1. Preheat oven to 350 degrees. Lightly spray a 9x13 inch pan with cooking spray. 2. Prepare brownie mix according to the box directions. Spread brownie batter in prepared pan and set aside. 3. In a large mixing bowl, beat cream cheese with electric mixer until smooth. Add in sweetened condensed and peanut butter and beat until smooth. Stir in peanut butter chips. Then spread cream cheese mixture over brownie batter in pan. 4. Bake for 40 minutes or until cheesecake top is lightly browned and set. Cool on counter for 30 minutes and then refrigerate for another 30 minutes. 5. In a small microwavable bowl, melt chocolate chips and whipping cream together until smooth, stirring every 30 seconds. Spread over cheesecake layer. Top with chopped peanut butter cups and store in refrigerator until ready to serve. 1. Preheat oven to 350 degrees. In a medium bowl, mix the mayonnaise, cream cheese, cheddar cheese, Monterey jack cheese, green onions and cayenne pepper. 2. Transfer the mixture to a shallow baking dish. Top mixture with cracker crumbs and bake for 15 minutes or until heated through. 3. Remove the pan from oven and top with bacon. Serve immediately with corn chips, bagel chips or crackers. 1. Preheat oven to 450 degrees and prepare a large bowl of iced water. 2. Slice the potatoes ¼ inch thick. Submerge the slices in the cold water and soak for 30 minutes. Drain, rinse, and thoroughly at dry. 3. Toss the potatoes with the olive oil, salt and pepper and arrange in single layers on two parchment-lined baking sheets. 4. Bake for 10 minutes, flip potatoes. Cook for another 10 minutes and flip again. Continue baking until chips are very crisp and light golden brown, approximately 8 minutes, watching carefully to make sure not to burn. 1. In a large stockpot of boiling water, add spinach and cook until bright green, approximately one minute. Drain and squeeze out excess water. Coarsely chop and set aside. 2. In a sauce pan, melt butter over medium heat. Sauté onions until soft and tender, then add garlic and cook for another minute. Add flour and cook for another minute, until no flour is visible. Pour in cream and milk, stirring constantly, cook until thickened. Remove from heat and stir in Parmesan and Worcestershire sauce. 3. Meanwhile, mix together spinach, artichokes, and sour cream. Pour warm cream mixture over spinach, add cheddar, and combine thoroughly. Season with salt and pepper to taste. 4. Serve immediately with chips. 1. Place sausage and beef in a large slow cooker. 2. Drizzle olive oil in a large skillet. Add onion and mushrooms. Cook until soft and add to slow cooker. 3. Add remaining ingredients to slow cooker and stir well. Cover and cook on low 4 to 6 hours. 4. Serve with desired toppings. 1. Combine beef, breadcrumbs, milk, garlic powder, onion powder, salt and pepper in a large bowl. Combine mixture with your hands. 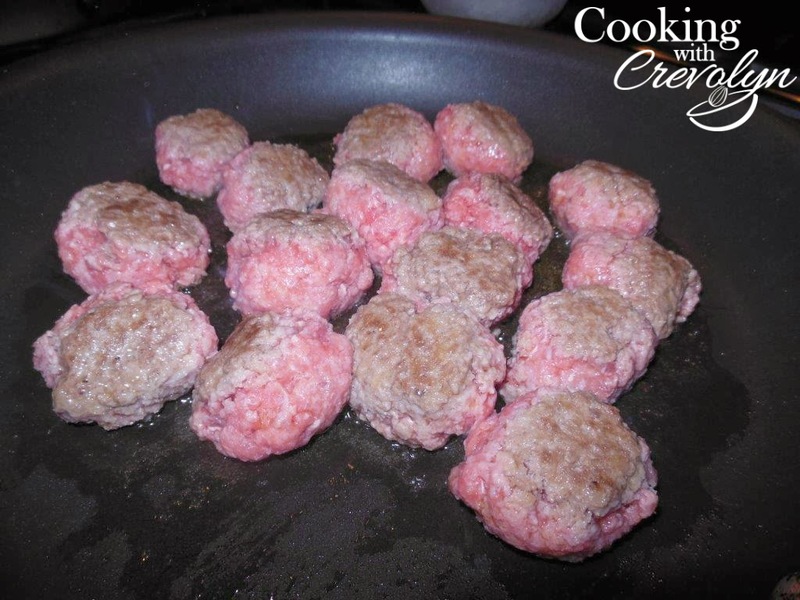 Shape into tablespoon size balls (mixture should make about 24 mini meatballs). 2. Heat 2 tablespoons olive oil in a large skillet over medium heat. Add the onion and cook until onion is transparent, about 5 minutes. Remove onions to a plate. 3. Heat the remaining olive oil in a skillet over medium heat and add the meatballs. 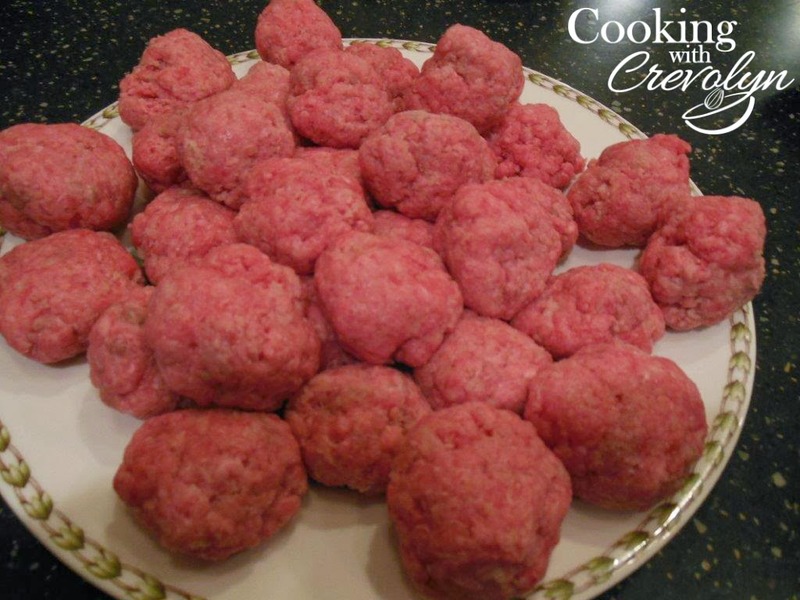 Cook the meatballs until they are completely browned all over. 4. 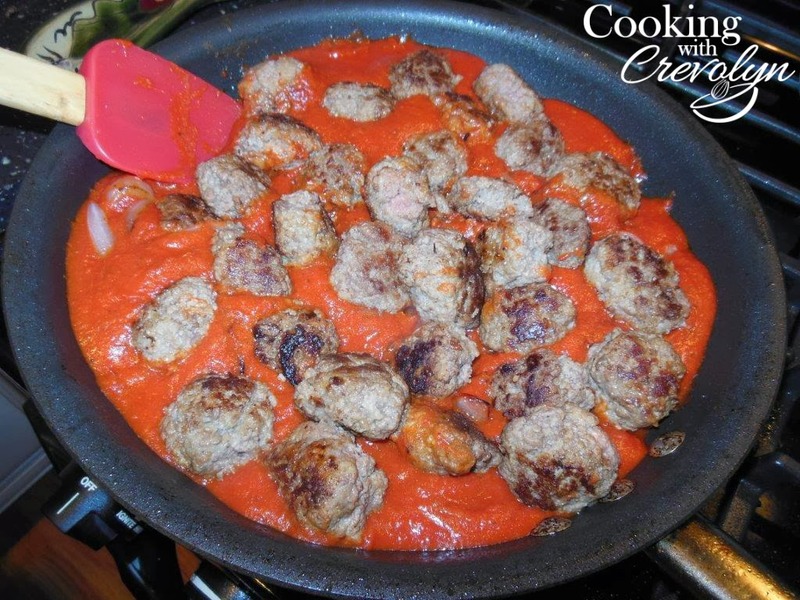 Pour the marinara sauce into the skillet with the meatballs and add the onion. Stir together and simmer about 15-20 minutes over low heat. 5. 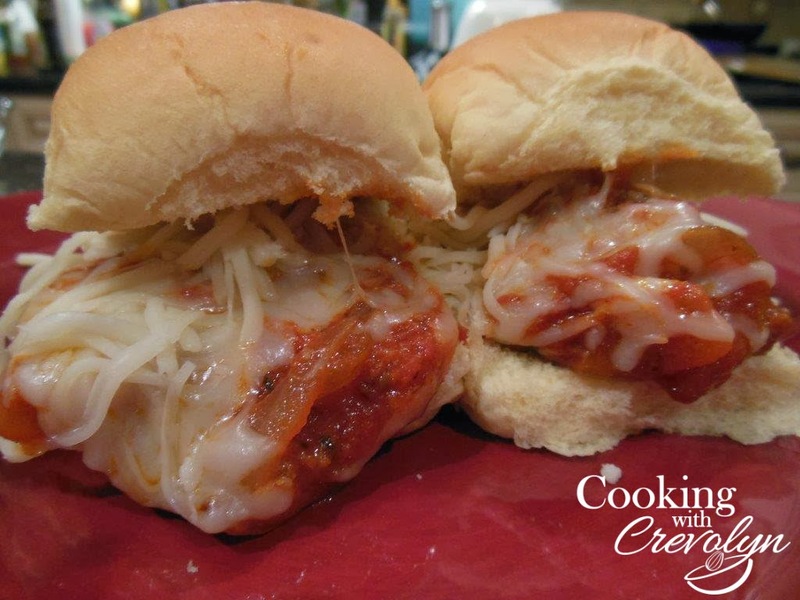 When serving, split the rolls, add a meatball and sauce. 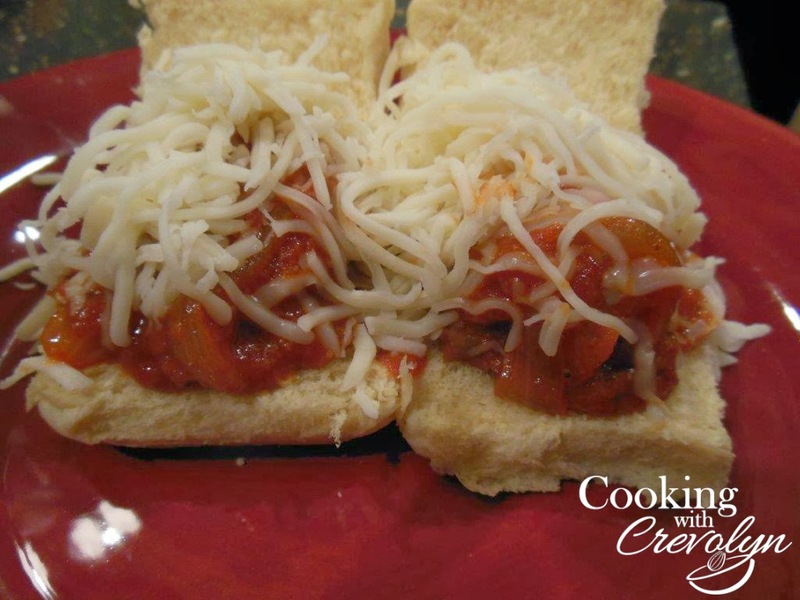 Top the meatball with mozzarella cheese. Serve immediately. 2. To prepare cake, place sugar, butter, lemon rind, lemonade concentrate and vanilla in a large bowl; beat with a mixer at medium speed until well blended (about 5 minutes). Add eggs and egg whites, 1 at a time, beating well after each addition. 3. Combine flour, baking powder, salt, and baking soda; stir well with a whisk. Add flour mixture and buttermilk alternately to sugar mixture, beginning and ending with flour mixture; beat well after each addition. 4. Pour batter into 2 (9-inch) round cake pans coated with cooking spray. Sharply tap pans once on counter to remove air bubbles. 5. Bake for 20 minutes or until wooden pick inserted in center comes out clean. Cool in pans 10 minutes on a wire rack; remove from pans. Cool completely on wire rack. 6. To prepare frosting, place 2 tablespoons butter, lemon rind, lemonade concentrate, vanilla and cream cheese in a large bowl; beat with a mixer at high speed until fluffy. 7. Add powdered sugar, and beat at low speed just until blended (do not over beat). Chill 1 hour. 8. Place 1 cake layer on a plate; spread with 1/2 cup frosting. Top with remaining cake layer. Spread remaining frosting over top and sides of cake. 9. Store cake loosely covered in the refrigerator. 2. Combine sugar and butter in a bowl; beat with a mixer at a medium speed until well blended. Add banana, milk, sour cream, and egg whites. 3. Combine flour, baking soda and salt, stirring with a whisk. Add flour mixture to banana mixture, beating just until blended. 4. Spoon batter in a 9x5-inch metal loaf pan coated with cooking spray. Bake for 1 hour or until a wooden pick inserted in the center comes out clean. Cool in pan for 10 minutes on a wire rack. Remove from pan and cool on rack. 5. Place half-and-half and chocolate in a microwave-safe bowl. Microwave on high for 1 minute or until chocolate melts, stirring every 20 seconds. Cool slightly and drizzle over bread. It's Wednesday and you know what that means... another Gainesville Times column from Cooking with Crevolyn. 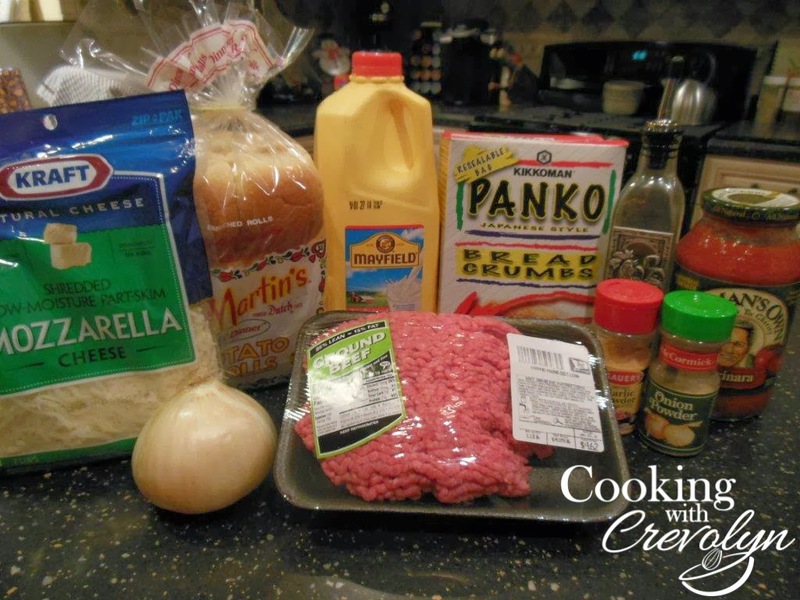 Check out these great tips and recipe for your Super Bowl party here. 2. Arrange asparagus spears in a single layer on a baking sheet; coat with cooking spray. 3. Sprinkle with salt and pepper and bake for 12 minutes or until tender. 4. Melt butter in a small skillet over medium heat. Cook 3 minutes or until lightly browned, shaking pan occasionally. Remove from heat, stir in soy sauce and vinegar. Drizzle over asparagus and toss well to coat. 2. Place egg whites in a shallow dish. Combine panko crumbs, paprika, onion powder and garlic powder in a shallow dish. 3. Sprinkle fish evenly with pepper and salt. Dip each fillet in egg whites and dredge in panko mixture. Place on broiler pan coated with cooking spray. Broil 4 minutes on each side or until desired degree of doneness. 4. Combine mayonnaise, pickle, lemon juice and dill. 5. Serve fish with sauce and lemon wedges. 1. Cook rice according to package directions, omitting salt and fat. Add cilantro, oil, ¼ teaspoon each of salt, pepper and chili powder. 2. To prepare shrimp, while rice cooks, combine shrimp, garlic, lime zest, ¼ teaspoon salt, ¼ teaspoon pepper and ¼ teaspoon chili powder in a medium bowl, tossing to coat shrimp. 3. Heat a large skillet over medium heat. Coat pan with cooking spray. Add shrimp to pan and sauté for 3 minutes. Stir in lime juice and butter, cook 1 minute, tossing to coat. Remove from pan and serve over rice. Combine powdered sugar, peanut butter and cream cheese in a large bowl; beat with a hand mixer at medium speed until smooth. Add milk and beat well until thoroughly combined. Fold in whipped topping. Divide mixture evenly between crusts. Chill approximately 6 to 8 hours or until set. 1. Mix BBQ sauce and sour cream. Set aside half of the mixture to serve with quesadillas. 2. Mix the other half of the BBQ sauce mixture with the shredded chicken. 3. Heat a skillet over medium heat; coating with cooking spray. Place a tortilla in the skillet. On 1/2 of the tortilla, add one spoonful of chicken mixture, spoonful of avocado, 2 tablespoons of cheese, spoonful each of onions and cilantro. Fold over the other half, covering the filling. 4. Cook for about 2 minutes or cheese begins to melt. Flip and cook for another 2 minutes. 5. Remove from skillet and cut into wedges. Repeat with remaining tortillas. 6. Serve with barbeque sauce mixture. 2. In a saucepan, mix together sour cream, milk, soup and cilantro. Heat through and set aside. 3. Combine the chicken, Rotel tomatoes, onions and green chilies in a pan sprayed with cooking spray. Saute until onions are transparent. 4. Warm the tortillas. Fill each tortilla with about 2 tablespoons of the chicken mixture. 5. Roll the tortilla up and place seam side down in an 8x11-inch dish sprayed with cooking spray. Pour the sour cream sauce over enchiladas and top with cheese. 6. Bake for 25-30 minutes until bubbly and cheese is melted. 2. Line a cookie sheet with aluminum foil and spray the foil with cooking spray. 3. Shake the hot sauce into the buttermilk and pour into a shallow dish. Place the cornflake crumbs in another shallow dish. 4. Dip each piece of chicken in the buttermilk, and then roll it in the crumbs. Place the coated chicken pieces on the cookie sheet and sprinkle with salt and pepper. 5. Bake the chicken until the crust is golden brown and the meat is no longer pink at the bone, about 1 hour. Check this with the point of a sharp knife. 6. Remove the pieces from the pan and serve while the chicken is warm. 1. In a large pot, sauté onions in olive oil until the onions are transparent. 2. Add four cups water to the pot and stir in remaining ingredients. 3. Cover and simmer on low for 3 to 4 hours, stirring occasionally. To finish out the "Best of 2013", we have a fabulous dessert recipe... No Bake Nutella Oatmeal Cookies. Check it out here. A little bonus recipe for you today, back from Mother's Day. This is perfect for breakfast, lunch, a bridal or baby shower, and just about any occasion. Check it out here. More exciting news from Cooking with Crevolyn... Crevolyn is now a bimonthly columnist in the Gainesville Times. Check out her first column here. This is most definitely a Best of 2013 recipe... Twice Baked Potato Casserole! How can you go wrong... potatoes, cheese, sour cream, bacon bits, the list goes on! Check it out here. 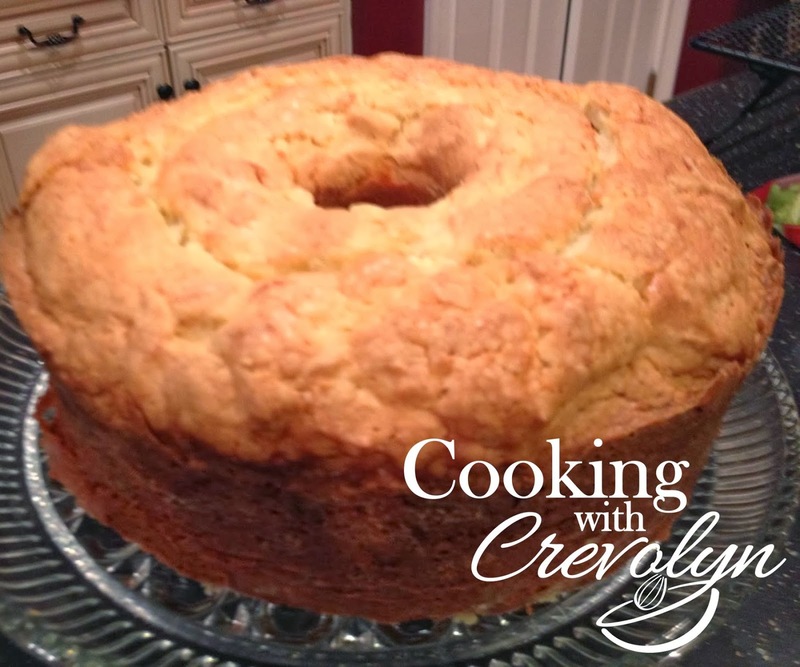 A bonus Tuesday recipe for you today and another Best of 2013! 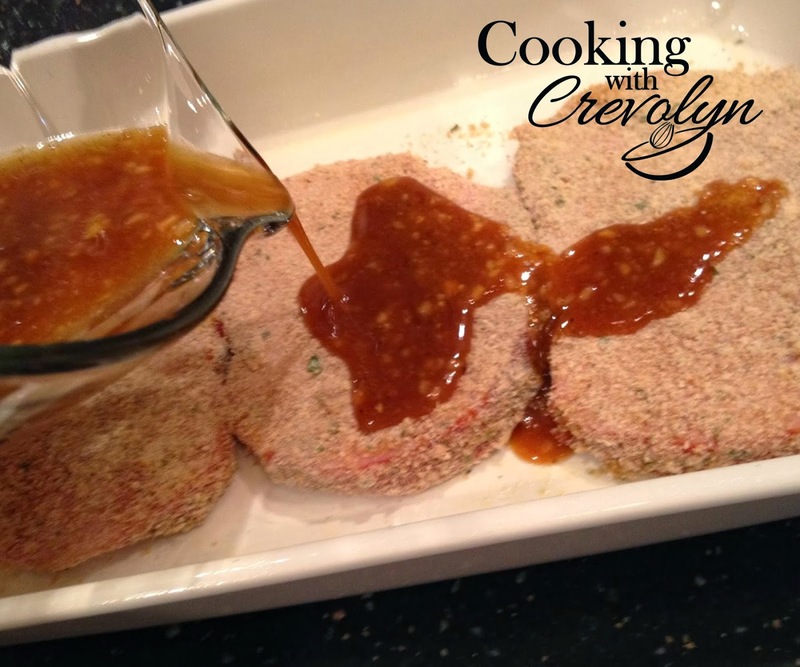 Check out the Oven Baked Pork Chops recipe here. 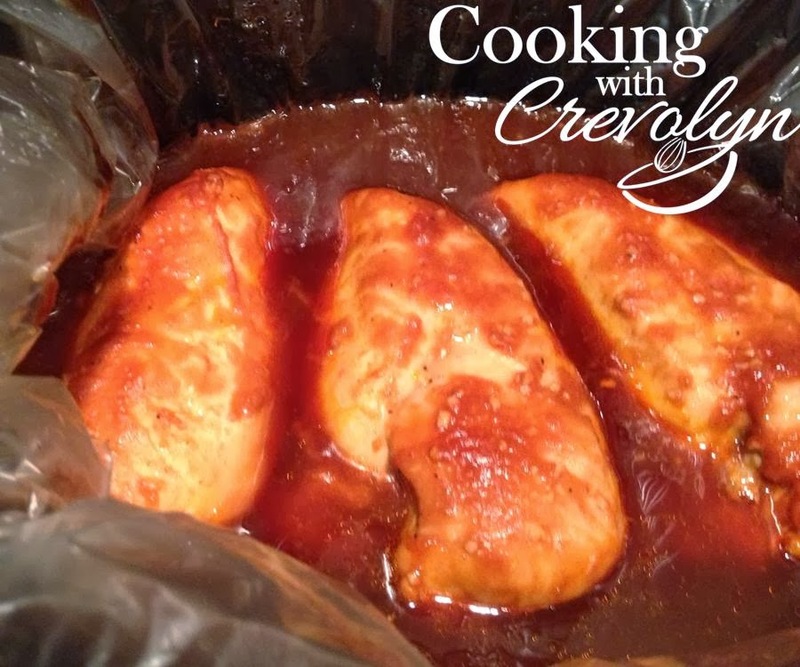 To kick off the week and continue with our Best of 2013 recipes, today's recipe is Sweet Baby Rays Slow Cooker chicken. The perfect meat to throw in the slow cooker and come home and it's ready! Pair it with some fresh vegetables or maybe a baked sweet potato, and dinner is ready! Check it out here. To finish out the week, we have another awesome "Best of 2013" recipe.... Key Lime Cream Cheese Crumble Cake. Check it out here. Today's recipe is another "Best of 2013" recipe! This was part of our Pound Cake Challenge and got the most hits on the website! Check it out here. For the rest of the week and next week, we'll be talking about the Best of 2013! These recipes are the ones most asked about, shared the most, or have the most hits on the website! 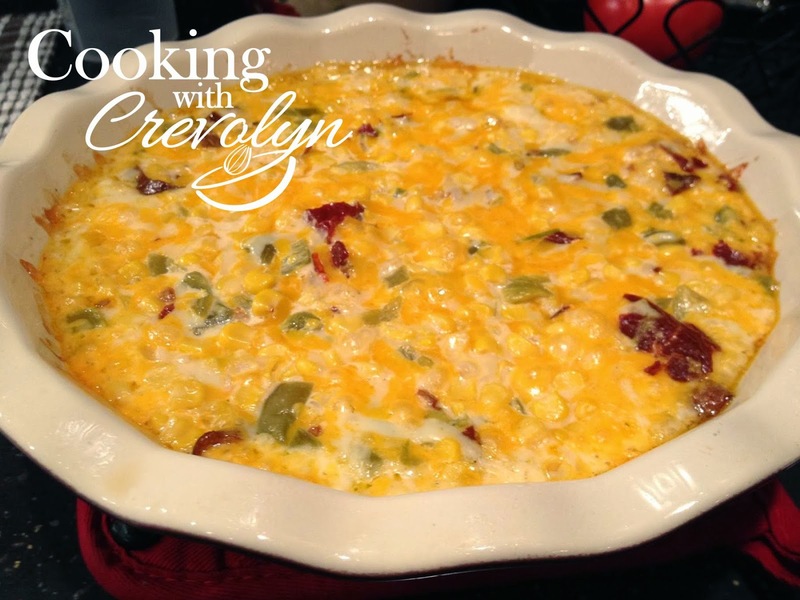 Today's recipe is Hot Corn Dip. Check it out here!